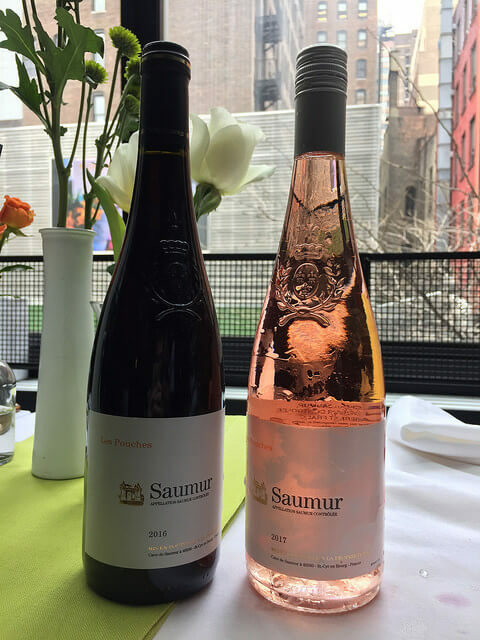 The post A Loire Cabernet Franc Duo That’s a Delicious Bargain appeared first on Jameson Fink. It’s not often you pour a wine and the first sip brings forth an involuntary “Wow!” Especially on an inexpensive wine. But this was the case with an red Italian gem I purchased at Grapepoint Wines, the Vigneti del Sole Montepulciano d’Abruzzo (2016). From Skurnik’s website, “After harvest, this wine is aged in stainless steel until bottling, preserving the freshness and fruit we love about Montepulciano.” Yup, sounds good to me. I noted that the 2017 is already listed and that this wine also comes in big 1.5L bottles. I could hardly think of a better wine for a party than a magnum of this red. It’s got super-juicy black cherry flavors, a little bit of sappiness (not sappy like The Notebook* but like the stuff from trees) giving the wine body, and a nice bright minty snap on the finish. Wouldn’t hurt to throw it in the fridge for 30 minutes and server cool. Very food-friendly and also a pleasure to drink on its own. 12.5% alcohol. Hi! I like this wine. And my curtain. I paid ten bucks for it. 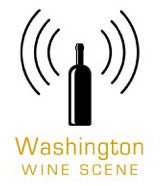 It’s definitely a great house wine candidate; take advantage of any offered case discount. You could probably get the same deal on six 1.5Ls, I’d see about having those ordered for you from your trusty wine shop. If you know the importer (Skurnik) it makes it a lot easier to track down. Also a little Italian wine label knowledge. A lot of wines are “[Grape] of [Place].” Here the grape is Montepulciano and the region is Abruzzo. (Vigneti del Sole is the producer.) Same goes for Brunello di Montalcino, Barbera d’Asti, etc. *Full disclosure: I watched The Notebook on a long international flight. I never sleep on airplanes so it’s a very contained, dark, surreal atmosphere to watch films. Literally everyone else on the flight is asleep except me. The combination of all these things makes movie-watching very…emotional. I (silently) wept so hard during the end of Silver Linings Playbook and during an animated movie, Rio. So if you’re on an international flight and sitting next to me, I suggest you go to sleep ASAP or bring some Kleenex for my tears. And don’t worry, I always get an aisle seat so I won’t be waking you up to go to the bathroom. Map by By Gigillo83 via Wikimedia Commons. 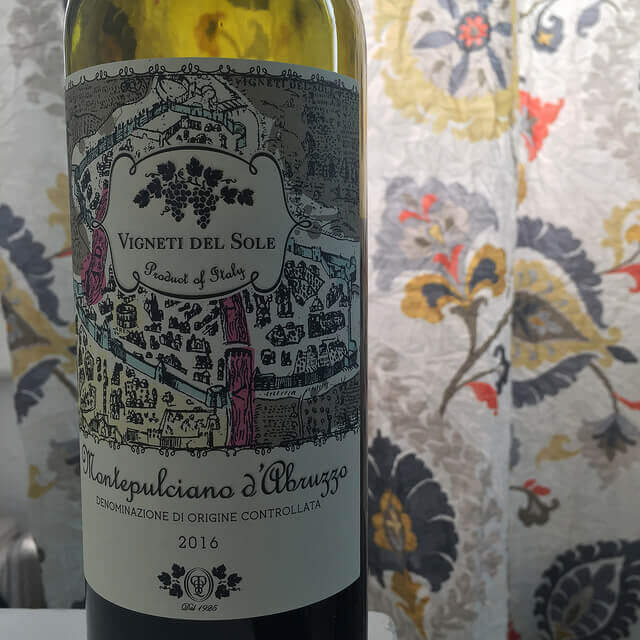 The post Vigneti del Sole Montepulciano d’Abruzzo: Hall of Fame $10 Red appeared first on Jameson Fink.